In late November 2012, a group of the School’s Executive MBA alumni joined a study trip to Hong Kong and mainland China. The trip was organized by GU School of Executive Education in collaboration with the Royal Sweden Hong Kong Business Council. The Royal Sweden Hong Kong Business Council was established in 1984 by the Hong Kong Trade Development Council, Hong Kong’s official Foreign Trade Council. 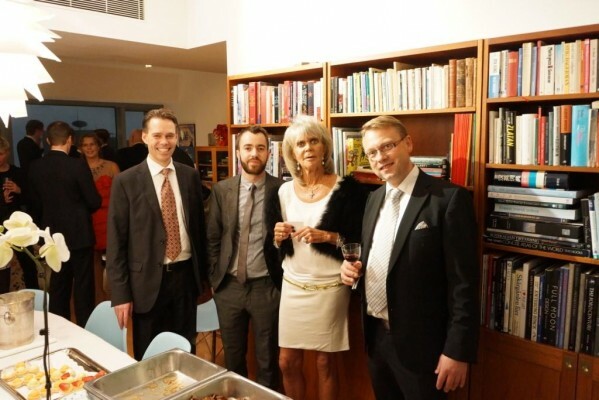 The Business Council patron is Her Royal Highness Princess Birgitta. 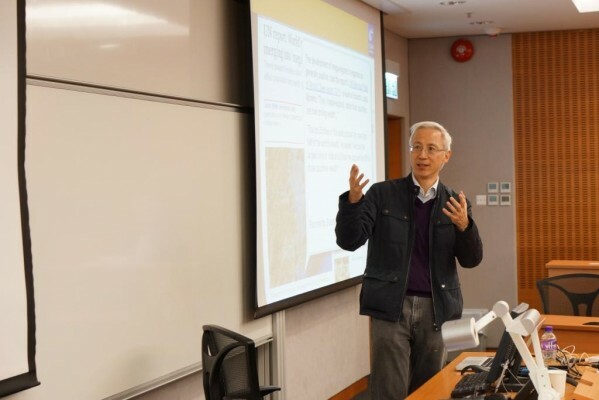 This year’s alumni trip included lectures at the Chinese University of Hong Kong and participation at the 13th Hong Kong Forum, an annual conference for networking and doing business with Hong Kong. 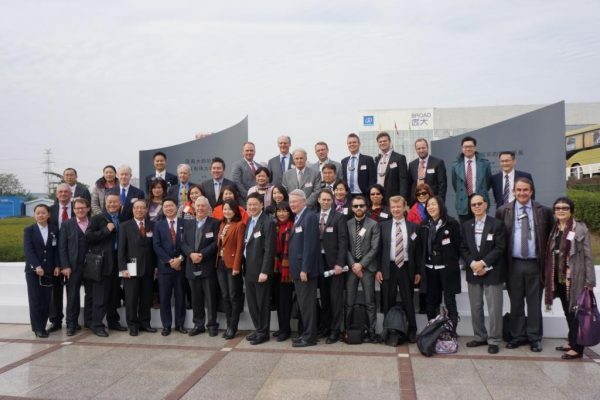 The delegation of alumni also made a trip to Changsha in the Hunan Province, China, where visits to Chinese companies and science parks were combined with networking with Chinese entrepreneurs and government officials. The stay in Hong Kong started with a boat tour to Lamma Island (images below), where alumni to the Gothenburg Executive MBA programme had lunch with members from the Royal Sweden Hong Kong Business Council as well as members from the Finland-Hong Kong Trade Association. 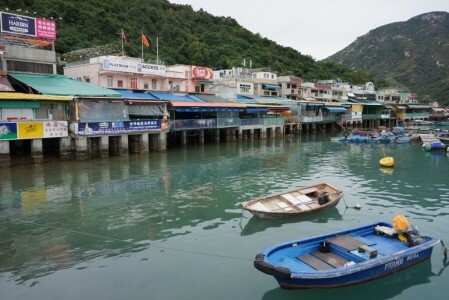 Lamma Island is a popular place for expats and well-known for its excellent seafood restaurants. 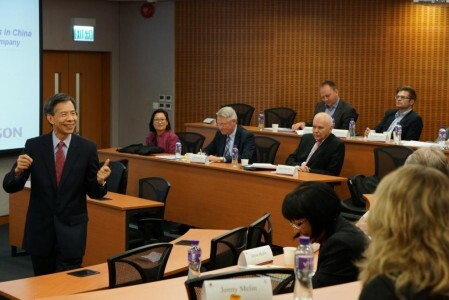 Members from the Royal Sweden Hong Kong Business Council and the Finland-Hong Kong Trade Association then joined the Executive MBA alumni to a full day of lectures at the Chinese University of Hong Kong. 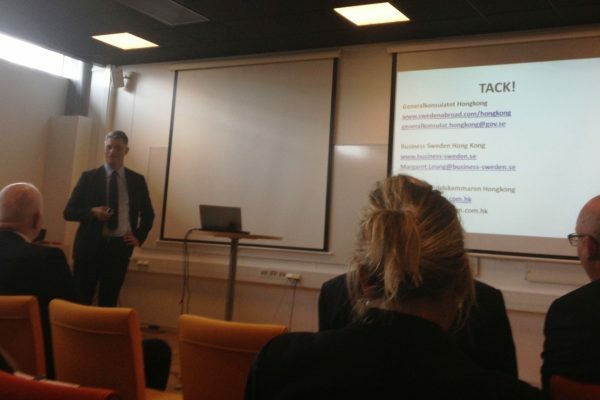 The lectures focused on how to do business in China. First on stage was Mr Bernard Suen, Project Director at the Center for Entrepreneurship, Chinese University of Hong Kong who gave an introduction to the creative industries in Asia. Mr Peter K. Yam told his own story of 30 years of doing business in China. Mr. Yam joined Emerson in 1986 and is currently an advisor to Emerson after he retired as president of Emerson Greater China and chairman of Emerson Electric (China) Holdings Co., Ltd in April 2008. For more than two decades, Mr. Yam played a key role in Emerson’s investments in China, including leading the efforts in setting up Emerson’s first manufacturing operation in Shenzhen, China in 1992 and subsequently the Emerson Electric (China) Holdings Co., Ltd in Shanghai in 1993. Today, Emerson has more than 40 legal entities in the country, including wholly-owned enterprises and joint ventures, in the form of manufacturing operations and engineering centers. 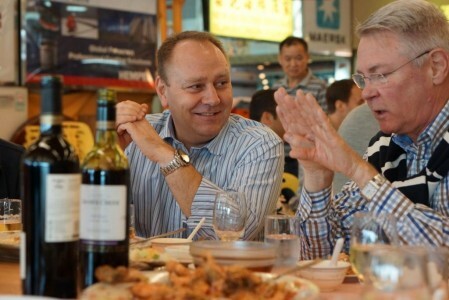 Mr Peter K. Yam was the only employee when Emerson joined the Chinese market. Today Emerson has more than 30,000 employees in China and almost 50,000 employees in the Asia-Pacific region. Ms. Katarina Nilsson from Vinge Law office in Hong Kong & Shanghai continued with sharing her expertise in Intellectual Property protection and legal aspects when doing business in China. Ms. Nilsson moved to China in 1992 and has been head of Vinge’s Hong Kong office since 2007. 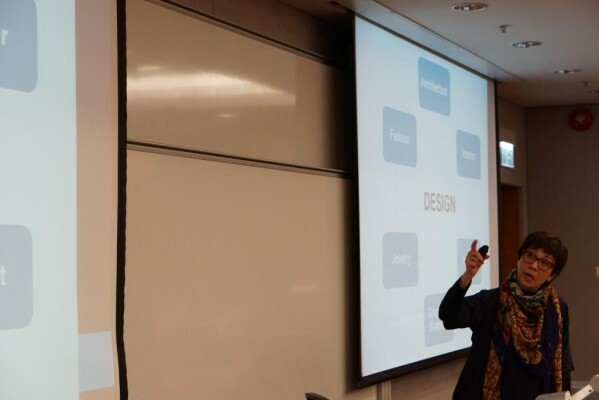 The lectures at the Chinese University of Hong Kong were concluded by Ms. Judy Mann, Co-founder and former chairman of Hong Kong Fashion Designers Association, who told her story of designing in Hong Kong and producing in China. 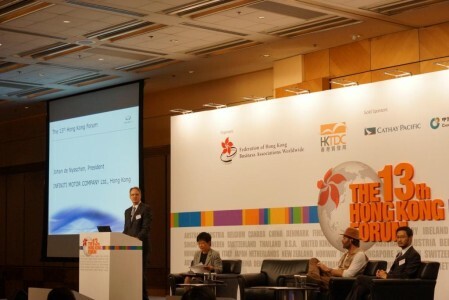 The remaining part of the stay in Hong Kong was spent at the 13th Hong Kong Forum. It is an annual event organised by the Federation of Hong Kong Business Associations Worldwide – a network of 33 Hong Kong Business Associations in 24 countries with over 11,000 individual associates. The Hong Kong Forum serves as a platform for associations to gather in Hong Kong to network with experienced market players from around the world, to make and maintain the right business contacts to improve competitiveness and to exchange ideas and information with entrepreneurs. One of the highlights of the forum was to hear the amazing story of the current and future development of Hong Kong, told by the Hon Ms Carrie Lam, GBS, JP, Chief Secretary for Administration, Hong Kong Special Administrative Region.